A Denmark Update - thank you for following! A warm hello to all of our friends and family! Thank you for all of your generous feedback and support about the blog. We started this without any expectations and if you had asked me how many people we'd have sign up, I wouldn't have ventured a guess. The number has been great enough that we've had to create a google doc to stay organized! We're now feeling some responsibility to post things that are high quality and worth reading so please, keep the feedback coming. This is a journey together and we are only going to figure it out with your help. We're still finding the proper cadence for our blogposts and sometimes there's material that doesn't really fit in anywhere but which we feel like sharing nonetheless, so consider this an update, or an in-between post post. Danish has enough similarity to English to feel like you can decipher it, but you cannot. Sukkar is sugar, kirke is church, and kronprincessgrade is crown princess grade (as in street). It thus invites you to feel very clever about spending time sounding things out loudly in pubic places before a Dane, all of whom speak fantastic English, asks if you need help. March: not a warm time here. Eve turned to Chris yesterday and said "maybe I can put a sweater under my sweater" and he didn't laugh or bat an eye because that made a lot of sense in the context of the arctic deep-freeze that awaited just outside the door. Oddly though, people don't seem to have much trouble heating buildings, they're all uniformly 70* and everyone acts and pretends like The Day After Tomorrow isn't happening outside. In fact, while we're doing gifs, here's us versus the danes. So much beautiful history. 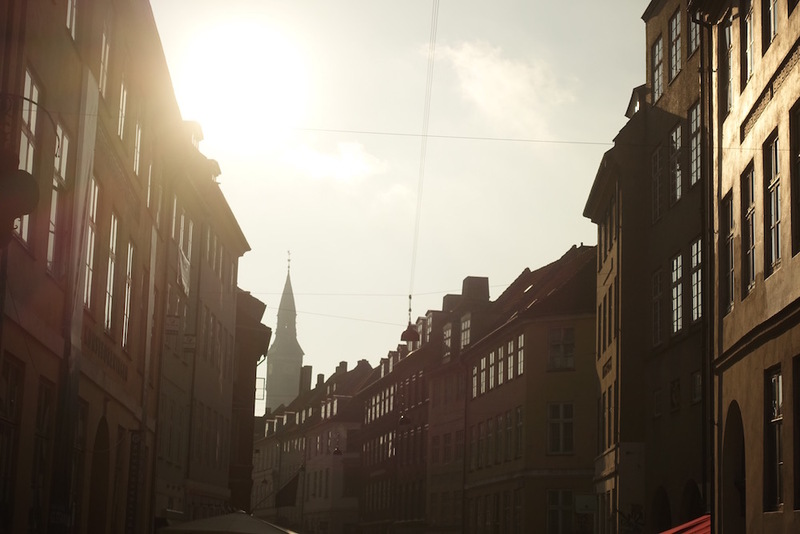 Like all European cities, Copenhagen is full of countless castles and cathedrals, but what really makes that past accessible is simply the fact that the royal family is still around. Visiting Rosenborg castle (more of a mansion, really) you can see all of the gold-gilded pomp and circumstance that was once how royal families projected their wealth but which now feels very anachronistic, and which they've allowed to take it's place behind the paned glass of museum displays. Unlike the royal families of Norway and Sweden however, they have not yet taken the leap to social media. Next up, expect to hear about an art exhibit that impacted us deeply, and in particular, Eve's incredible insights into it and the artist. Why didn't anyone tell us about Christiania?